Click Here To Reserve Your FastPass via email! (includes a raffle ticket at each movie!). 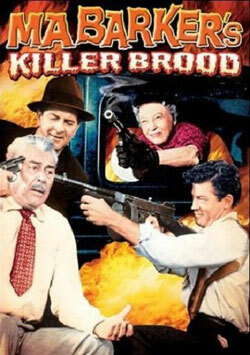 Dot Burton, an aspiring actress, helps a gang of bank robbers to hold up a bank. The men escape but the police are suspicious of Dot's actions and arrest her. District Attorney Lewis Sinton asks Dot to turn state's evidence, but she continues to plead her innocence. Radio broadcaster Kenneth Phillips sees a newspaper article about Dot's case and broadcasts a statement lambasting the district attorney for arresting her while the real criminals go free. Sinton responds by suggesting that Phillips help in the investigation. He willingly agrees and begins by questioning Dot. Face to face, Phillips and Dot realize they know each other from childhood and Phillips arranges to have Dot released into his custody. Although Dot intends to go straight, when she overhears the other members of the gang plan to divide up her share of the stolen money, she hides the money from them. Dot intends to atone for her part in the crime by returning the money. Later, encouraged by Phillips to forget about the past, she starts to tell him of her involvement, but when he refuses to take her side, she confesses to Sinton and is sent to prison. There Dot is befriended by Myrtle Reed, but two other convicts, Lucy Fenton and Deaf Annie, ally against her. Soon Carey Wells, one of the bank robbers, dresses as a woman and visits Dot in prison. Deaf Annie reads his lips and tells Fenton that Dot knows where the stolen money is hidden. In the meantime, Myrtle has convinced Dot to let the guilt-ridden Phillips help her get paroled from prison. Fenton bides her time and when Dot comes up for parole, she suggests to the warden, Mrs. Stoner, that she offer to grant Dot parole in exchange for the money. Stoner makes the same suggestion to Phillips, who refuses. Fenton then convinces Dot that the suggestion was Phillips' idea, and Dot plots her revenge against him. She agrees to turn over the money if Phillips will pick it up alone and then gets word to the gang about the arrangement. Then, by accident, Dot learns that Phillips is innocent. She tries to stop him, and when Stoner refuses to allow her to phone him, she escapes in order to warn him of his danger. By the time Dot arrives, the gang has attacked Phillips, but she is able to lead him away. The gang holds Dot hostage, but eventually they are captured by the police. Phillips plans to marry Dot after she is paroled. Johnny Dill is a milquetoast door-to-door salesman who happens to be the exact double of a notorious Prohibition gangster. 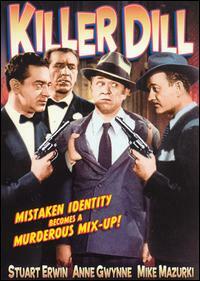 When the bad guy murders a rival, poor Dill is really in a pickle. Our hero finds himself stuck between the forces of good, represented by crusading attorney Allen (Frank Albertson), and the minions of evil, played by such veteran movie heavies as Mike Mazurki, Anthony Warde and Ben Welden. Erwin's well-thought-out performance helps to cover the gaping story holes and logic gaps. And our select panel of experts will be on hand to discuss the movies after the show. "In 1927, Katherine Clark "Ma" Barker castigates her son Herman for playing the violin at church, stating that it made him look like a "sissy." Although her husband George tries to restrain Ma from corrupting the sensitive Herman and their other sons, Lloyd, Doc and Fred, Ma insists that her boys will not grow up in abject poverty, as she did. To that end, she mercilessly trains them to commit robberies, instructing them that they must never get caught. One night, they rob a carnival, but as they are fleeing, Herman is caught by the carney and brought to the sheriff. Despite the fact that Ma feigns complete innocence, the sheriff suspects her and the boys of being responsible for many recent robberies, and warns that he will be watching them. Back at home, Ma cuffs Herman. The next morning, George is horrified to see Herman's arrest reported in the newspaper, but when he tries to force Ma to renounce her ways, she throws him out. Soon after, the sheriff runs them out of town, and over the next years, Ma takes to the road with her growing boys, who commit small crimes to support themselves. In 1933, Fred is in jail, but the other boys execute their largest robbery yet, holding up a bank truck. During the job, Herman is instructed to kill a guard, and when he cannot, Ma runs over the guard with the car, pretending to be a little old lady whose car has gone out of control. They evade the police and return to their house where Ma's new husband, the alcoholic Arthur Dunlop, lives. With the stolen money, Ma buys Fred's release from jail, and with him he brings his cellmate, the sadistic killer Alvin Karpis. Ma throws Fred a coming home party, attended by her friends, the infamous criminals Machine Gun Kelly, John Dillinger and Baby Face Nelson. Ma charges Kelly and his girl friend Lou $50,000 to plan the kidnapping of a man, despite their refusal to believe her advice that the man is penniless. Meanwhile, Herman and Doc are performing a robbery and, when it goes wrong, must flee the police. After their car crashes and Herman tells Doc to run, then, replaying his mother's warning never to get caught, shoots himself. At the funeral, Ma blames Herman's death on George's parenting. Afterward, she learns that it was Art, in a drunken rant, who revealed information about the robbery, thus endangering Herman and Doc. In revenge, she, the boys and Al force the terrified Art to play Russian roulette until he shoots himself. Over the next months, Ma continues to plan crimes for the other gangsters for a fee, moving her family often to avoid being caught by the FBI, who are trailing her. In St. Paul, she hatches a scheme to kidnap bank president Khortney for a $200,000 ransom. Pretending to be the nurse at his daughter's school, Ma calls Khortney and asks him to come to the school, where the boys abduct him. They bring him to a farm, where Kelly and Lou soon show up with two gun-toting goons, stating that they are going to "steal" Khortney and collect the ransom themselves. Unknown to them, however, Ma has invited Dillinger and Nelson, and together with her sons, they overpower Kelly's gang. After collecting the ransom, they return Khortney home unharmed, and he informs federal agents Avery and Baxter that he was driven eight hours over rainy roads to a farm. With this information, the agents are able to pinpoint the Barkers' location. 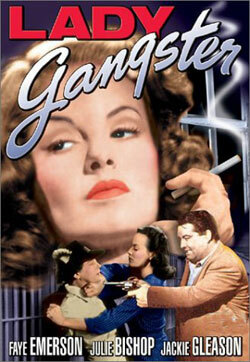 To escape, Ma takes Fred, whose face has been identified, to alcoholic gangland doctor Guelffe for plastic surgery. Although Guelffe pleads that he is unable to perform such a delicate operation, Ma forces him to comply, and he begins the painful process of shaving off Fred's fingerprints. Fred convalesces for days, but when Ma removes his face bandages, she is infuriated to find him unchanged. In revenge, the boys burn the doctor alive. Later, Kelly attempts to swindle Ma by hiring Doc, at a lower fee, to plan his next job. To ensure Doc's participation, Lou seduces him, but before they can finish the job, Doc is arrested by Avery and Baxter. The agents use a letter from Fred to determine that Fred and Ma are now living in Florida. There, a weary Fred has just convinced Ma to retire when the agents, with two local policemen, arrive. Against Fred's wishes, Ma insists on shooting their way out, and both are killed, along with the two policemen. Within years, all of the Barkers have been killed, and Karpis and Kelly are in jail. The world's fastest parade (55 miles per hour), themed "Drive-By Shouting", begins the festivities on Friday evening at the Chuckwagon Lodge and General Store in Torrey at 7 PM and ends at the Wayne Theatre in Bicknell. All participants are encouraged to dress in their best ganster attire as well as theme their vehicles accordingly Be at the Chuckwagon at 6:30 PM if you want to drive your car in the parade. Friday night following the screening, the "Party of the Stars" will be held at the Rim Rock Inn and Restaurant east of Torrey. Musical guests "Joe Muscolino Big Band" will rock the the Rim Rock! Saturday morning at 9 A.M. starts off with our trademark Swap Meet at the Robber's Roost Bookstore in Torrey. Bring some stuff to swap! BIFF-Fans will want to mosey on over to Teasdale (8 miles south) for the Volunteer Fire Department's Mutton & Taters Dutch Oven fund raiser which begins at noon on Saturday at the Teasdale Fire Department Building. The BIFF "It's a Wrap Party" featuring our pals "Sister Wives" will be held at the Cafe Diablo in Torrey following the movie. Click Here To Reserve Your FastPass! The Bicknell International Film Festival is not-for-profit 501(c)3 organization.